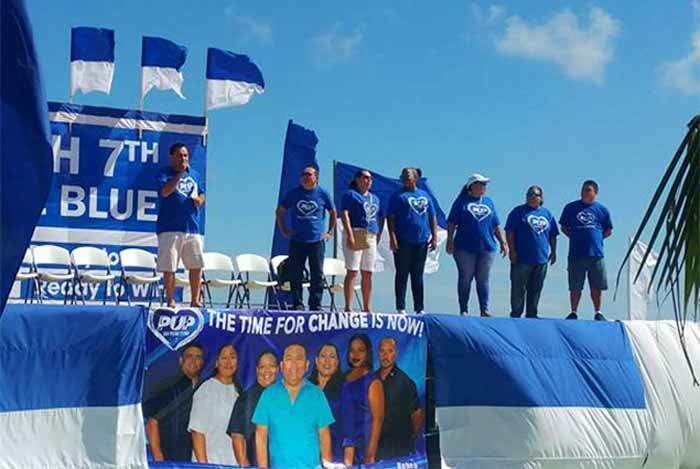 With just about a month to go before town council elections, the People United Party (PUP) held a huge political rally which was called Love Fest No.1. The theme of the Love Fest was: ‘One Love, One Soul, One People, that's the sound of PUP’. The focal point of the rally was, of course, addresses by each and every councilor candidate and Mayoral candidate. Each one spoke of their plans of development that will bring progress to the lives of the entire San Pedro and Ambergris Caye. The plans include much needed street improvement with pavement and drains, an organized garbage collection, improved services at the poly clinic with a final goal of having a full time hospital on the island, organized programs to have children and youths engaged in positive learning in library and resource center, organized programs to assist the elderly, organized programs to assist single mothers, job placement opportunities resource center, a shadow youth town council to engage youths in leadership, community engagement and even political involvement and more sporting facilities. All of these plans and others were received with thunderous applause by the audience.